DURING TAXI THE AIRCRAFT STRUCK A PARKED AIRPLANE. DUPAGE, ILLINOIS. AIRCRAFT LANDED GEAR UP. PORT ANGELES, CALIFORNIA. The pilot of a tailwheel equipped airplane reported that he was landing on a backcountry airstrip. He reported that after touchdown, about two-thirds of the way down the runway during the landing roll, the wind shifted to a tailwind. He further reported that the airplane over ran the runway, impacted a hill, and nosed over. According to the pilot the wind was variable at 7-8 knots prior to the accident. The pilot must be aware of airspeed during the approach and of the targeted reference landing airspeed (VREF)/airspeed, plus wind gust adjustments, over the runway threshold. An excessive approach speed may result in an excessive speed over the runway's threshold, which may result in landing beyond the intended touchdown point as well as a higher speed from which the pilot must bring the airplane to a stop. The effect of a tailwind on landing distance is significant and is a factor in determining the landing distance required. Given the airplane will land at a particular airspeed, independent of the wind, the principal effect of a tailwind on operational landing distance is the change in the ground speed at which the airplane touches down. The pilot's failure to recognize and compensate for tailwind conditions during the landing roll, which resulted in a runway overrun and nose over. Our beloved husband, father, and grandfather, Greggory Rydalch Cluff, 57, passed away in an aviation accident on Tuesday September 6, 2016 in Palm Bay, Florida. Gregg was born on January 26, 1959 in Logan, Utah to Ralph Ferrell and Jolene Rydalch Cluff. Following graduation from Bountiful High School he served a mission for the Church of Jesus Christ of Latter-day Saints in Lima, Peru. He joined the Utah Army National Guard, where he became a master aviator in numerous aircraft and had an honorable and distinguished career, retiring as a Colonel after 33 years of service. Gregg was known by all to hold the highest standards of conduct and integrity. He had a continuous desire for learning throughout his life. He graduated with a Masters of Strategic Studies from the United States Army War College. 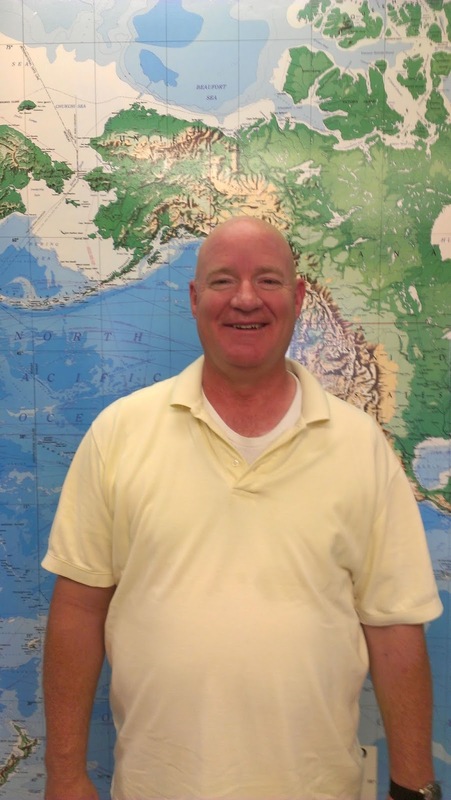 After retiring from the military he was employed by AAR airlift as a check airman/flight instructor. Gregg was an active member of the Church of Jesus Christ of Latter-day Saints and served in many leadership capacities. He enjoyed spending time with his family, could always be found with a book in hand, and was always willing to serve those around him. He possessed a deep love for his country and will be remembered for his patriotism, his never-ending sarcasm, tender heart, and his devotion to his wife Carolyn, his children and grandchildren, and his Heavenly Father. He is survived by his wife of 34 years, Carolyn Webster Cluff, and his children Sara Cluff Rasmussen (Michael), Kyle Webster Cluff (Chelsea), Lisa Cluff Fonseca (Tony) and six grandchildren: Ethan, Brynlee, Avery, Maycee, Lucas, and Tessa. He was preceded in death by his mother, Jolene Rydalch Cluff. Funeral services will be held Thursday, September 15, 2016 at 11:00 am at the Riverton Utah South Stake Center, 3113 West 13400 South, Riverton, Utah, with interment at the Utah Veterans Cemetery and Memorial Park, 17111 South Camp Williams Road, Bluffdale, Utah. A viewing will be held Wednesday, September 14, 2016 from 6:00-8:00 pm at Russon Brothers Mortuary, 295 North Main Street, Bountiful Utah, and prior to the services from 9:45-10:45 am at the Riverton Utah South Stake Center. Online guestbook at www.russonmortuary.com. In lieu of flowers, please consider making a donation to the LDS Church Missionary Fund. Bill Nesbitt, 55, passed away on Tuesday, September 6, 2016. He was born in Boise, Idaho in 1961 and graduated from Capitol High School. Bill is preceded in death by his father, Ben Nesbitt; mother, Nancy Nesbitt and brother, Gary Nesbitt. He is survived by his wife, Becky Young-Nesbitt; children: Katie Nesbitt, Jeff Nesbitt, Regina Young, Steven Boyle and Carrie Gambill, sisters, Cathy Nesbitt and Jan Carlson and multiple adoring grandchildren. As a young father, Bill loved spending time with his growing children and camping in the mountains every chance he had. He was a full time soldier in the National Guard and deployed to Afghanistan in 2006 when his unit was activated. 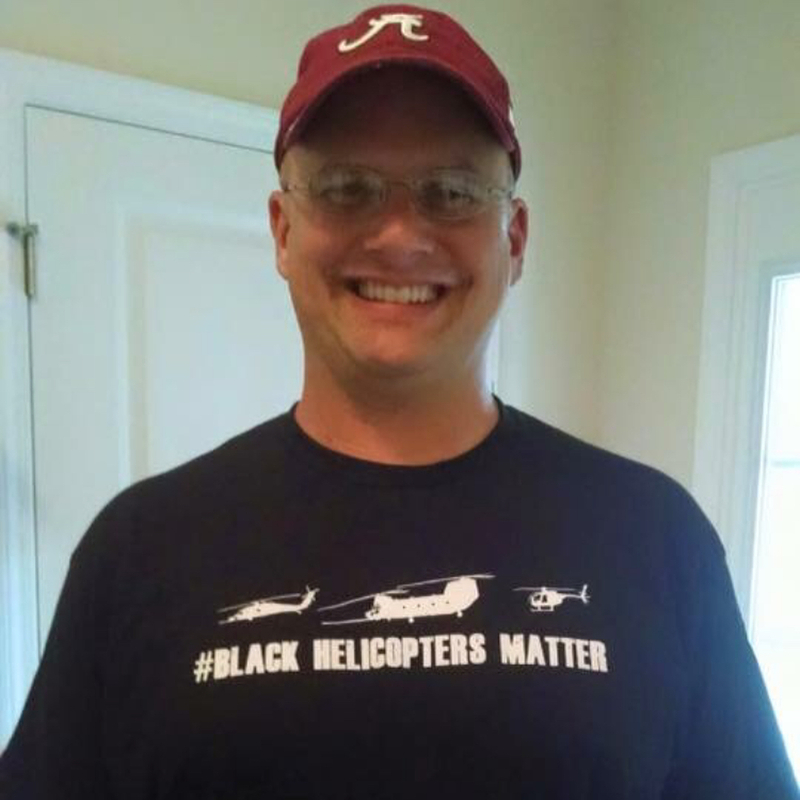 He served as mechanic and crew chief on the AH-64 Apache for the majority of his 20 year career. Even in "retirement" he continued to serve our country. He worked for various defense contractors in the Middle East in support of our troops maintaining various helicopters, transporting troops and needed supplies throughout the region. Bill had an incredible sense of humor. He was always quick with a joke or a funny story and had a contagious smile. He was proud of the nickname of CandyMan because while he was transporting troops throughout the Middle East he always made sure he had a bag of candy for the "in flight treat" for his passengers. 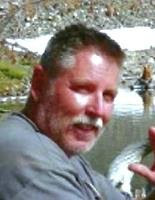 Bill lived with his wife in Meridian when not overseas and enjoyed barbecues with his family, camping and video games. He dreamed of one day retiring to the mountains to enjoy the peace of nature and fish all day if he wanted. He had a strong work ethic and never expected anything to be handed to him. He was deeply loved and will be deeply missed by all who knew him. A memorial service to celebrate Bill's life will be held at 11:30 AM on Monday, September 19th at the Eagle Church of the Nazarene, 1001 W. State St. in Eagle. Military Honors will follow at the Idaho State Veterans Cemetery at 1:00 PM. Remembrances may be left for the family online at www.AccentFuneral.com. Services are under the direction of Accent Funeral Home, Meridian. Memorial services were held for Jason O'Neil Dunnam, 45, of Lucedale on Saturday, September 10, 2016, at 11 a.m. at Union Baptist Church. Interment followed in Arlington National Cemetery. He was born June 1, 1971 in Mobile, Ala. CW4 Dunnam’s deployments include Operation Enduring Freedom, Operation Iraqi Freedom and Operation Inherent Resolve, totaling 11 combat rotations, including a 10, 12 and 15-month deployments. He has flown over 4,000 total hours, including over 2,000 combat hours. Included among his awards and decorations are the Meritorious Service Medal, Air Medal (Numeral 8 and V device), the Army Commendation medal, the NATO Medal, the Korea Defense Service Medal, the Air Force Achievement Medal, the Combat Action Badge and the Master Army Aviator Badge. His military schools include the Airman Leadership School, the Warrant Officer Advanced Course, the Warrant Officer Staff Course, the Warrant Officer Senior Service Education course, SERE-C course, AH-64 Instructor Pilot Course, the Rotary Wing Instrument Flight Examiner Course and the Aviation Safety Officer Course. His aircraft ratings include the Bell Jet Ranger, the OH-58A Kiowa Warrior, the AH-64A/D Apache, the CH-47D Chinook and the MH-47G Chinook. He died September 6 in Palm Bay, Fla. He is survived by his wife Lori Aldrich Dunnam, daughter Rebekah-Lee Dunnam, sons David (Sarah) Aldrich, Matthew Dunnam; mother Linda Neil (Cook) Dunnam; and brother Joe (Kathi) Dunnam. He was preceded in death by his father Rayford Dunnam and grandparents Ottis and Mattye Cook and John and Dollie Dunnam. Sigler Funeral Home was in charge of arrangements. Authorities confirmed the identities of two other people killed in a fiery helicopter crash last week in Palm Bay. 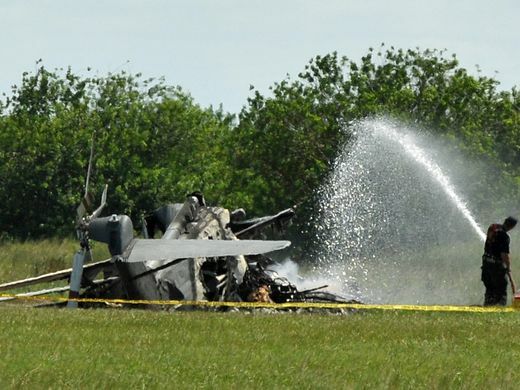 Brevard County officials named Jason Dunnam, 41, and Bill Nesbitt, 54, as the two other people killed in the Sept. 6 accident involving the Sikorsky S-61N helicopter. The pilot was identified Tuesday. Authorities had tentative names but used dental and medical records to confirm the identify the men, all employees of AAR Airlift. The company has a hangar at Orlando Melbourne International Airport. The helicopter was on a "post-maintenance test flight" when the 1974 model aircraft crashed in a remote field in a mostly rural portion of Palm Bay. The body of Greggory Cluff, 57, a retired Utah National Guard master aviator with more than 6,000 hours of flight experience, was found in the pilot’s seat of the air craft. Dunnam was identified as the co-pilot. The accident happened as the helicopter hovered about 100 feet off the ground. The three filed a flight plan before leaving Orlando Melbourne International Airport. 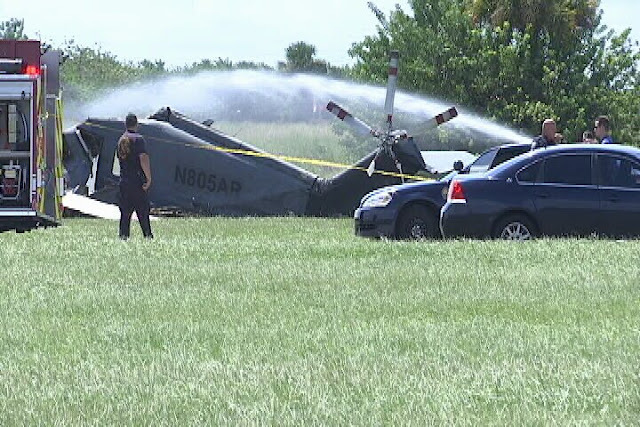 Three people were killed in the fiery crash of a large, military-style helicopter conducting low-level flight test maneuvers over western Palm Bay on Tuesday, authorities report. 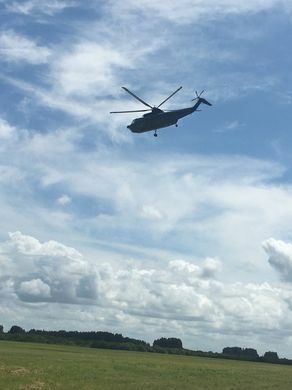 Palm Bay Fire-Rescue crews quickly responded to the crash of the Sikorsky S-61N helicopter at 1:55 p.m. near the so-called Compound of southwestern Palm Bay. The helicopter, owned by a division of a global aviation support company, took off from Orlando Melbourne International Airport, Federal Aviation Administration officials told FLORIDA TODAY. "One of our Palm Bay Public Works workers were out here and she saw the helicopter go down," said Mike Bandish, a spokesman for the Palm Bay Police Department. "She called it in, and we responded out here. She said it was hovering at maybe about 500 feet. It appeared to be coming down a little bit and then all of a sudden, boom, it just hit the ground, burst into flames. She called 9-1-1 right away." Bandish also said that their witness said the helicopter did not appear to be in any distress before it crashed in an open field. "It's an extensive crash," he said, adding that it took Palm Bay Fire Rescue crews about half an hour to put out the flames that engulfed the wreckage. The 1974-model helicopter has 28 seats and two turbine engines. Similar helicopters have been used by the U.S. Coast Guard in years past. It was not immediately known if the aircraft was experiencing mechanical issues. The cause of the crash is not immediately known at this time but already the FAA and National Transportation Safety Board are in route to inspect the site. The helicopter is privately owned and operated out of Orlando Melbourne International Airport, officials report. The crash victims have not been identified. 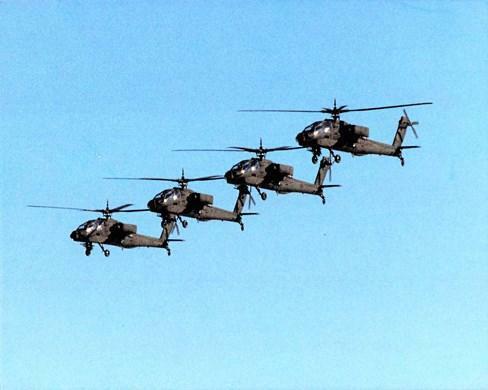 The aircraft was operated by AAR Airlift Group Inc. located on Commerce Drive in Palm Bay and advertises the operation of a fleet of medium and heavy rotary wing aircraft along with a fleet of fixed wing craft. The aviation company is a division of the Wood Dale, Illinois-based AAR Corp, authorities reported. The Palm Bay division of the global company has in the past handled military contracts for U.S. operations in Africa and also search and rescue operations for the U.K. in the Falkland Islands. The company's total operations lists $2 billion in assets and has 7,000 employees spanning 17 countries, according to its website. The helicopter crew operates out of an aircraft services hangar at the airport was performing test flights in the area, investigators reported. A search of the surrounding area was also conducted while Brevard County Fire Rescue crews worked to clean up a localized hazardous spill. 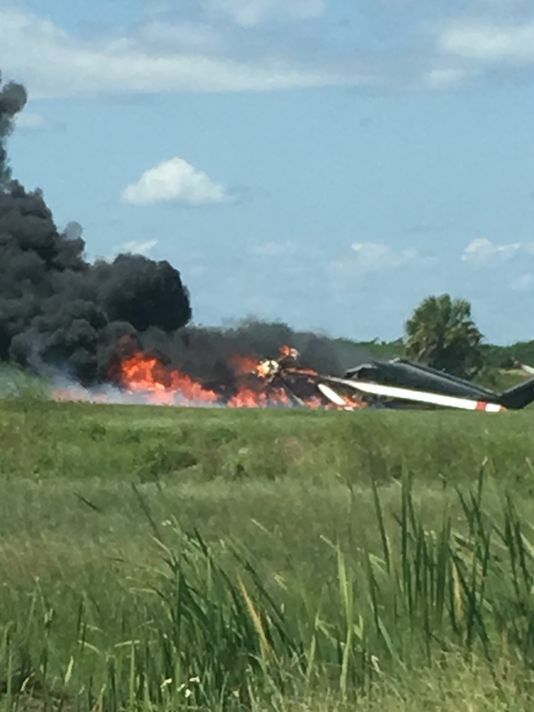 All three people died in the helicopter crash and subsequent fire, Palm Bay police confirmed. The incident was reported near Freeburg Avenue, between Sapodilla Road and Wingham Drive. The aircraft was engulfed in flames, on the ground, when the mangled heap was located, police reported. At least one person witnessed the immediate aftermath of the crash. Police said the helicopter - possibly seen doing its maneuvers earlier in the day over the same area - took off from Orlando Melbourne International Airport. Several witnesses told police that they say the helicopter descended in the area where it eventually crashed. "I was on Emerson and all of a sudden, the police were coming up behind me," said Summer Light, who was driving in the area at the time. She saw the patrol cars speed off and then looked off past the tree line and spotted a growing plume of black smoke rising into the sky. She then snapped a photo of the smoke. "When I got to Bombardier, I saw the smoke. I just feel really bad for the family," Light said. The helicopter crash was in the same area as where the city’s Tough Mudder event was held, officials reported.